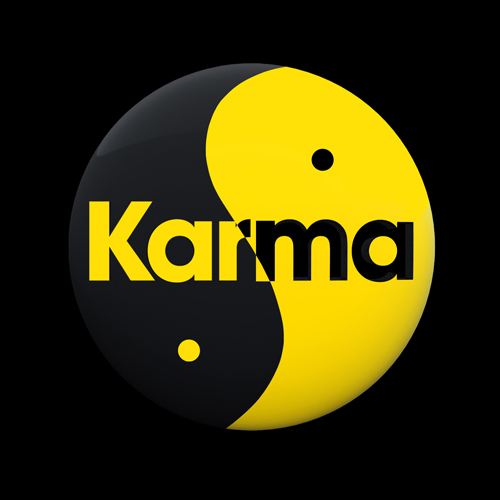 Karma is a part of Buddhism and Hinduism, among other eastern religions. The underlying principle of Karma is that it brings back the results of actions to the person performing them. Good actions equal good karma. Bad actions, bad karma. Simple, elegant, and self-sustaining. So it’s nice when Karma (with a capital K) comes out to play nice. In a post from late last year, I was bemoaning the piling on effect of some not so fun events that were going on in my life. It felt like I was on the receiving end of a pretty severe crap storm, even though I felt in my heart that I had worked to sow good energy in the universe. For the most part, I play the long game. A short term win that sows bad karma is not my style. I look for things to balance out over time – but when it comes with a big fat sign that says “Universal Payback Ahead”, I sit up and pay attention. To wit, my tale. 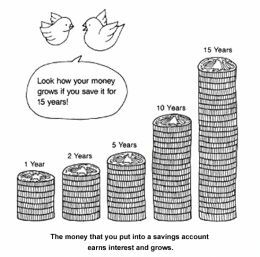 Following our separation as we headed into divorce, my soon to be ex took possession of our joint savings account as well as the two savings accounts we’d set up for our children. There wasn’t a lot of money in any of the accounts and I wasn’t going to fight it. His logic then was that I wasn’t trustworthy enough to manage the accounts for the kids, therefore he would do it. I told him that as long as he used it to help pay for college, I was fine with him taking stewardship of the funds. That was in 1995. The big issue last fall was around his unwillingness to pay his full 50% share of the kids’ college expenses. After child #1 was done with school and child #2 was a senior, he informed me he wasn’t willing to pay me back in full. He hid behind the one paragraph clause in our divorce paperwork and parsed it down to the bare black and white legal language of 50% of tuition only, no books, no fees, or other charges. In addition, he capped it at the state school tuition level, which meant our daughter’s private school tuition was a problem. After the dust settled on this dispute, he ended up paying more than he wanted to but less than what was his true 50% share. His relationship with both kids was damaged and is still not repaired. The cost to him in trust was steep – I’m not sure he really understands how much damage was done. I stood up for the kids and stood my ground, knowing that this wasn’t really about money but about control and making me pay for the hurt I’d caused him. After 18 years of being divorced and working be a good co-parent, the damage to me is complete. I have no desire to have any relationship with him. I consider his final payment our last real need to communicate. I wish him well, but I don’t need to try anymore. He forfeited my goodwill with this move. Then came the phone call. A gentleman (who clearly enjoys his work) called last week with some surprising news. He works for the department of revenue’s unclaimed property division. He called asking for me. He said he needed to find my children as they had some money in unclaimed property accounts. I figured it was a refund or rebate of some sort, but he said it was a lot of money. I’m thinking maybe $500 or so. He then tells me that it totals over $20K. At that point, you could knock me over with a feather. It turns out that the savings accounts that were set up for our 2 kids when they were young ended up being abandoned by their father at some point. He set them up as United Trust for Minors Accounts (UTMA) after our divorce. Somewhere around 2001 after his second move, he lost track of them. The statements went to an old address and after 3 years of no activity and no updated address, they were transferred to the unclaimed property division. They have been collecting interest for the past 18 years and the little bit of money in them has grown substantially. This was money that he could have used to help offset their college expenses on his side. I assumed all along that he had done so. To find out that he not only forgot them but abandoned them altogether is like a gigantic green arrow flashing “Karmic Payback Here” – hard to ignore and a thing of beauty. The best part is that since the accounts are UTMAs and the kids are no longer minors, the money is all theirs. This windfall will help them get started in their adult life and will allow them to pay off student loans or put away some money for a down payment on a home. After all, this was their money all along – money given to them for birthdays or Christmas that we thought they could use better when they were older. For it to find its way back to them feels like a big cosmic win. Just when I began to feel like a patsy for taking the high road and not asking for child support when I had the kids full time, Karma came through. It felt like a gift from above to have this land in our laps. It came without any strings, no need to fight for it. Perhaps the best stewardship he could have provided was to forget it along the way. That way, it was there for the kids when they needed it. Interestingly enough, his 50% share of the college costs that I’d covered was about $21K. The timing of the universe providing almost that exact amount to the kids seemed to be a very clear indication that this was a result of Karma leveling the playing field. I am downright giddy about it. It helps me let go of any lingering bitterness or frustration at feeling taken advantage of. I’ve let go of that feeling, as I made the decision to make our divorce not about money, but about doing what was right for our children. By staying true to that aim, I know that in the long run I am much richer for it – not in money, but in my relationship with my kids and in my peace of mind. Now that’s charisma, that’s what that is. This entry was posted in Family, General Rambling, karma, Spirituality. Bookmark the permalink. Karma is cool is king. AnElephant would like to offer you a hug if he may.